When Can One File for Bankruptcy Again in Wisconsin? - Crooks, Low & Connell, S.C. When Can One File for Bankruptcy Again in Wisconsin? If you have previously filed for bankruptcy, either personally or in your business, it is important to understand the limitations that can apply to second and subsequent bankruptcy filings. While you can technically file for bankruptcy at any time – regardless of your past filing history – the U.S. Bankruptcy Code imposes restrictions on the number of “discharges” that a person or business can obtain within a specified period of time. This time period varies depending on the type of bankruptcy (i.e., Chapter 7 or Chapter 13) involved in each proceeding. If you cannot obtain a discharge due to the Bankruptcy Code’s timing provisions, are there still benefits to filing for bankruptcy? Potentially, yes. Determining whether it makes sense to file for a second or subsequent bankruptcy when you are ineligible for discharge requires a careful assessment of your personal financial circumstances and your reasons for considering bankruptcy. For example, if you went through a Chapter 7 bankruptcy and are still struggling to pay your non-dischargeable debts (such as student loans), filing for a Chapter 13 bankruptcy could help you avoid collection actions. On the other hand, if you are seeking relief from newly incurred dischargeable debts, filing for bankruptcy without the possibility of discharge may not serve to meet your needs. If your last bankruptcy was under Chapter 7 and you intend to file under Chapter 7 again: 8 years. If your last bankruptcy was under Chapter 7 and you intend to file under Chapter 13: 4 years. If your last bankruptcy was under Chapter 13 and you intend to file under Chapter 7: 6 years. If your last bankruptcy was under Chapter 13 and you intend to file under Chapter 13 again: 2 years. Each of these waiting periods runs from the time of your previous filing, not the previous discharge. However, it is important to emphasize that these are just the general rules. 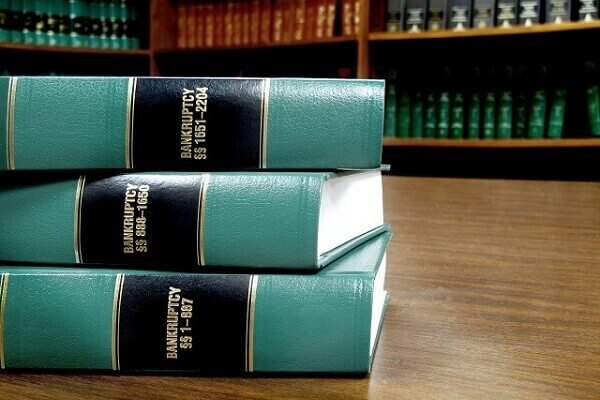 The Bankruptcy Code is extraordinarily complex, and different rules may apply to your situation. For example, if your previous bankruptcy filing did not result in discharge, you may be eligible for discharge in a subsequent filing sooner than if you had obtained a discharge. Under a law enacted in 2005, anyone seeking to file for bankruptcy in Wisconsin must undergo credit counseling within the six-month period prior to filing. The agency providing the credit counseling course must be approved by the U.S. Trustee in Wisconsin. You can find a list of approved agencies here (subject to change): Approved Credit Counseling Agencies. If you would like more information about your options with regard to filing for a second or subsequent bankruptcy, schedule an initial consultation at Crooks, Low & Connell, S.C. To discuss your situation with a bankruptcy attorney at our offices in Wausau, WI, call (715) 842-2291 or submit our online request form today.